I’ve been asked by parents of children to photograph their birthday parties on numerous occasions and each time it has been a lot of fun. Photographing children isn’t always easy – and photographing ‘the birthday party’ presents its own unique opportunities and challenges as a photographer. 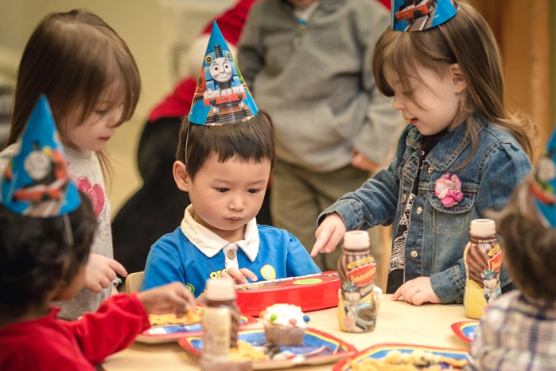 Birthday Parties present us with a lot of emotion, interaction, color, and energy in a child’s party – the highs and a few lows of life are all present. 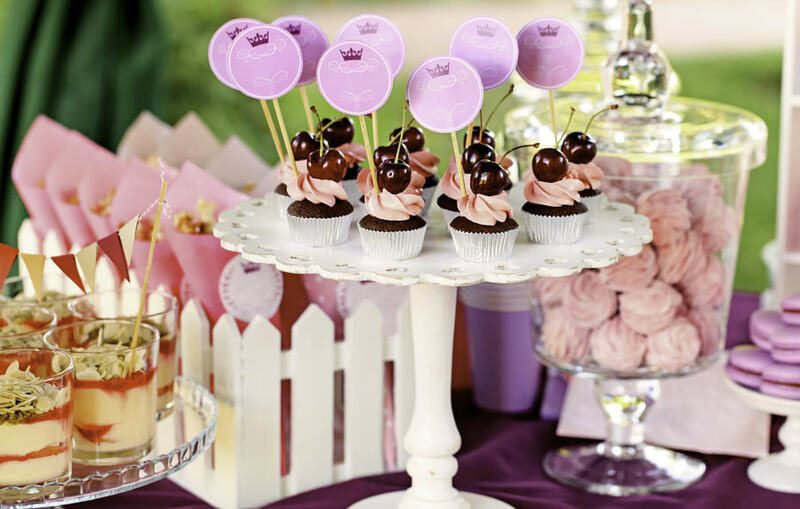 On the challenging side of things – children’s parties can be chaotic places with moving subjects, lots of clutter and often little time for those organizing them to pick up a camera and take a shot. There’s nothing worse than getting to the end of a party and realizing that while the camera was out that no one bothered (or had time) to pick it up and take some shots. Give someone the job and release that person from other party duties to just take photos. This way you’re guaranteed to get some shots and will have something to remember the day with. It is also good because it means others are able to relax and enjoy the party and that parents can rest assured that the photos will only be used responsibly. Get more free weekly digital camera tips like this by Subscribing to our Newsletter or News Feed. One of the most important tips I can share is to get down low when taking photos of children. The biggest mistake I see in party photos is adults taking shots from a standing position looking down onto a scene. While you might take a few shots from this perspective the majority of your photos should be taken at eye level of the subjects you’re shooting. Having said this – it can inject a lot of life into party shots if you do mix up your shooting angles and focal lengths at a party. Try some shots from standing up high (get on a chair even to accentuate it – this can be great for group shots) but also get down really low and shoot looking up at kids. Also, try a range of focal lengths ranging from wide-angle shots that take in the whole party scene through to zoomed shots of kids and party elements. Mixing it up like this will mean you end up with a more dynamic and playful series of shots at the end of the day. Most children’s birthday parties happen inside (at least in part) where lighting can be tricky. In most cases, there will be some artificial light which can leave your photos with different types of tinges. The easiest way to overcome this and ensure your shots are true in color is to learn to use your white balance controls. This is the subject for another post but most modern digital cameras have a variety of automatic settings that will give you some easy settings for different lighting situations. Before the party experiment with white balance and get your setting right. Keep in mind that there are some moments in a party where you do want the temperature of your light to be nice and warm! Another way to add interest to the shots is to focus in on the details of the party. I find that many of these shots are best taken before the guests arrive and might include shots of the cake, photos of balloons and other decorations, photos of presents stacked, shots of a set party table. Often it’s good to get in nice and close to these elements – fill the frame with them (to the point where they even become a little abstract). You’ll find that these types of shots look great scattered through an album between shots of people. You’ll probably need some sort of extra lighting if your party is inside. You can help to eliminate the need for this by increasing your ISO setting a little but unless you have a lot of natural light or an extremely fast lens you’ll probably need to use a flash. If you have a flash hot-shoe you’ll probably get the best results if you bounce the flash off the room or walls or if you use a flash diffuser of some kind so that the flash is not as harsh on your subjects (a common problem with many party photos). Take things to a whole new level by setting up a photo booth or area that you’ve lit with some studio lights for some fun portraits. In order to capture all of the important moments at the party, you should know how it is planned to run. Know when everyone will be sitting down when the blowing out of candles will happen when presents will be opened etc. This will mean you can be well positioned for each event just ahead of them happening. Most of your party photos will end up being candid ones of children and adults interacting with one another around the different party activities. I’ve written on candid photography previously but you’ll probably want to take a couple of types of candid photos during the party. I tend to take quite a few shots from the edge of the party using a longer zoom lens. These shots are large of kids interacting with each other, playing, eating etc. The other thing to do as the party ‘warms up’ is to actually get into the party and shoot from within it. In these instances, you will find a wide angle lens more appropriate and you actually join in the circle of activity (ie sit with the kids, play the games, eat the food) and photograph the children as you do this. At times it might even be appropriate to make taking the photos a game of sorts – getting them to pose and then show them the results on your LCD. Photographing from ‘within’ the party is fun but it doesn’t just happen straight away with many children. I find that the best shots come as the children warm up to you and their surrounds. So make an effort to meet the children as they come into the party and to be friendly and fun. This might even mean putting your camera away for a little towards the start of proceedings. Also in this, I’d highly recommend that you need to be aware of personal boundaries when photographing children. Unfortunately, we live in a time where the topic of photographing kids is something that makes many of us think about ways that doing so can be misused and abused. Always get the permission of the parents hosting the party before photographing proceedings, always stay with the main group and don’t get into one to one shooting situations, be aware of giving those you’re photographing personal space and being appropriate. While the majority of your shots will probably be candid shots you should also think ahead about what type of ‘must have’ sort of shots you want from the party. Consult with parents (if you’re not one of them) about what type of shots they want. 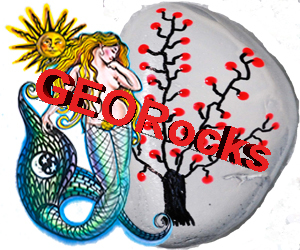 These might include some group shots, cake shots, blowing out candles, opening presents, party games or even some posed shots of the birthday boy or girl etc. It’s amazing to see how a room (and people) can be transformed in just an hour or two when you have a group of children in it. For this reason, you might want to consider what type of shots you’ll want to take before the party actually starts. This might include some of those shots that focus in on different elements of the party but also shots of the birthday boy or girl when they are dressed up and looking (and behaving) at their best. Also, take a few shots at the end of the party – they could make a humorous comparison series with your before shots and of course if something gets messy… be ready to capture that too to show how the ‘after shot’ was created. One of the most effective ways to capture parties is to learn how to shoot in continuous shooting (or burst) mode when your camera fires a series of shots in quick succession. This is particularly useful when shooting children as they rarely sit still but is also a good strategy for key moments in the party like blowing out the candles (which you only get a couple of seconds of opportunity to capture). 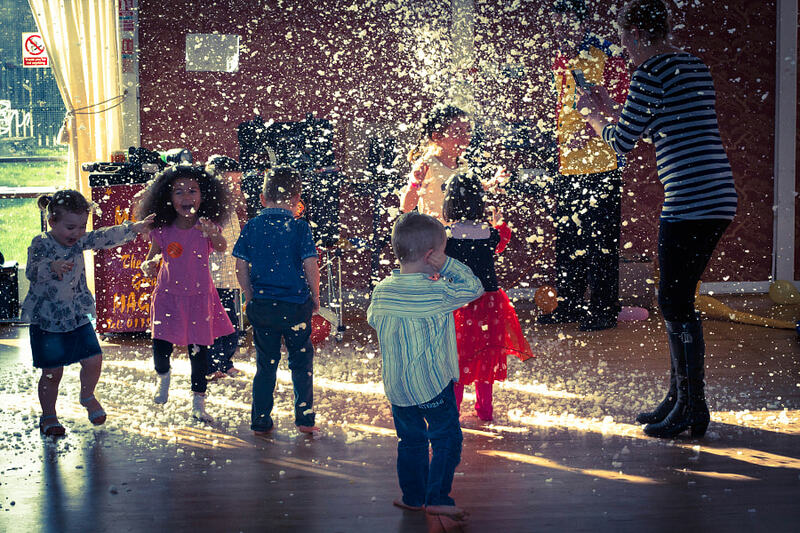 The focus of children’s parties is generally the children – but the adults attending the party can actually present you with some fascinating shots as they watch on. 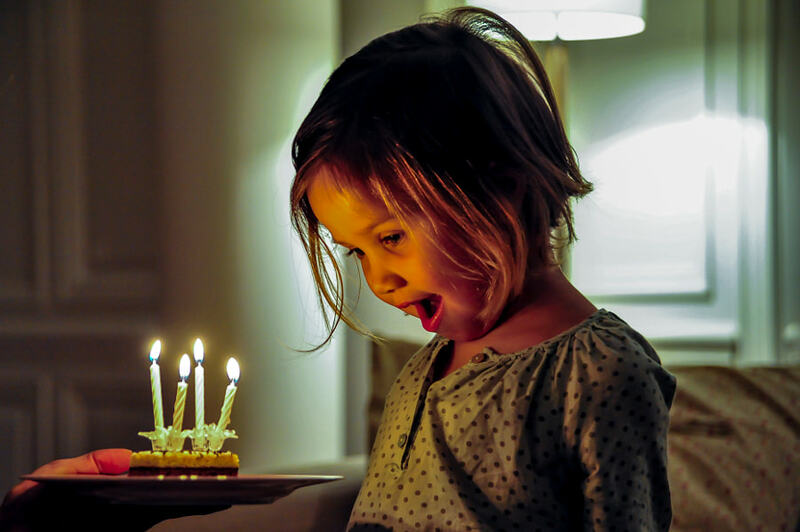 Sometimes their reactions to what the children are doing can be quite fascinating and its worth including them in shots – particularly those adults in the immediate family of the child having the birthday.